While each gallery within the Fighting for the Nation Galleries will be unique, telling the stories of the specific conflicts of the time periods they represent, a number of features will be recurring throughout each of these galleries to highlight changes and advancements as the Army marches through history. One of these features is the “Soldier’s Load,” which will show visitors the different basic equipment a Soldier typically carried during different conflicts in U.S. history. Beginning in the Founding the Nation Gallery, visitors will learn what a Revolutionary War Soldier would have carried. Because Soldiers were often on foot, not wanting to be overburdened on long marches, their packs focused on the essentials. Typically a Continental Soldier would carry a musket, bayonet, and ammunition to fight. These items would be attached to leather straps that placed the majority of weight on the shoulders. In the Global War Gallery, visitors will be made aware of the differences in equipment for Soldiers fighting in the European and Pacific Theaters of Operation. A rifleman in the Pacific typically carried a semi-automatic rifle, bayonet, and approximately 130 rounds of ammunition. In addition, Soldiers wore steel helmets and were issued special jungle knapsacks designed to carry extra equipment such as a jungle hammock and foul weather gear. Perhaps most importantly, they were also issued jungle first aid kits. For the European Theater, the Soldier’s Load—noting the continual advancement of specialized skills for individual Soldiers— will feature the basic equipment a medic would have carried. Medics would not have carried a weapon; instead they would have medical equipment to treat casualties on the battlefield. Like other Soldiers, however, medics would be issued a steel helmet, chemical mask, and other personal equipment. 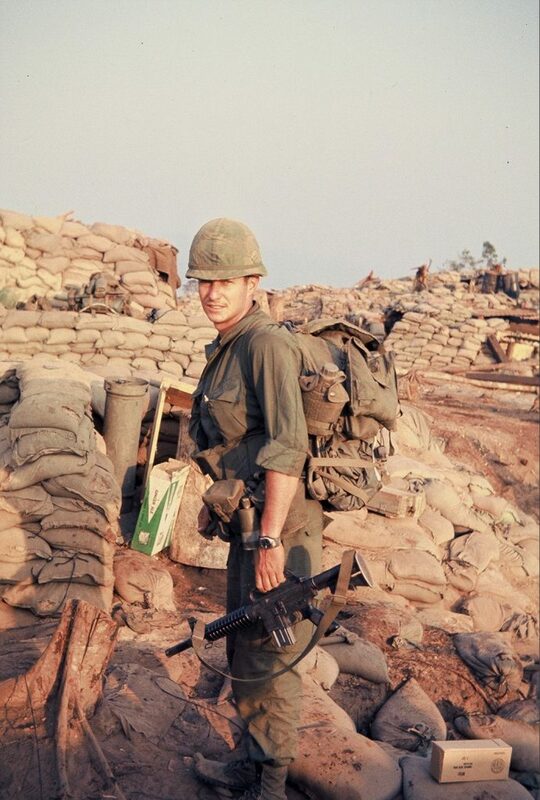 During the Vietnam War, Soldiers were issued a semiautomatic rifle with automatic capability and up to 20 magazines of 20 rounds each along with fragmentation and colored smoke grenades. Body armor was a newer feature, adding weight as well as protection. Other typical equipment for a Soldier in Vietnam would have included an entrenching tool, poncho, purification tablets, and several canteens. Similar displays will appear in the Preserving the Nation, Nation Overseas, and Changing World Galleries—each showing what a Soldier would have carried during the Civil War, World War I, and modern conflicts, respectively. Overall the “Soldier’s Load” displays will detail the progression of advancements made by the Army as warfare modernized. In addition, the different displays will highlight the variety of needs based on the climate and topography of a specific battleground. Through these displays, visitors will be able to note the importance of flexibility and adaptation depending on locations and objectives for Soldiers—even in their personal belongings. Editor’s Note: In part, the title of this article is borrowed from American novelist Tim O’Brien’s critically acclaimed account of Vietnam combat, The Things They Carried (Houghton Mifflin, 1990).